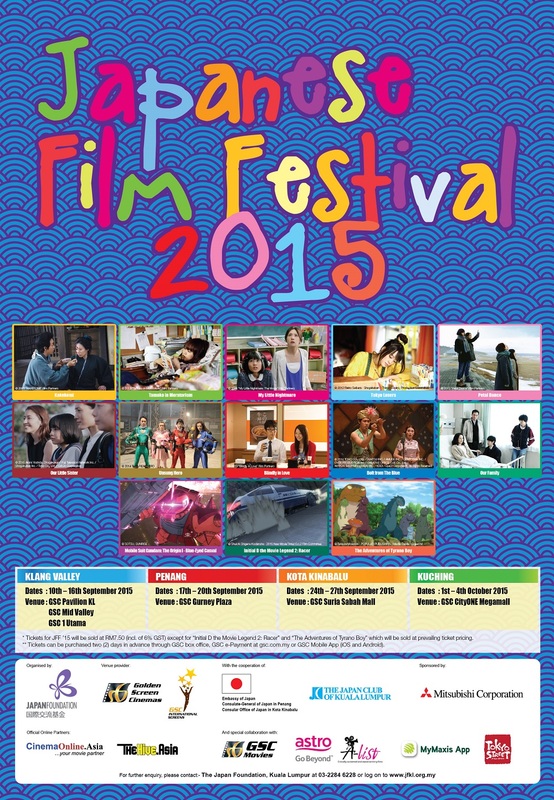 Japanese Film Festival 2015 Malaysia starts 10 Sept.
Organised by The Japanese Foundation Kuala Lumpur, the Japanese Film Festival (JFF) returns to Malaysia for the 12th year and will kick off by screening 13 diverse Japanese titles from September 10th onwards at select GSC cinemas in Klang Valley before moving on to Penang, Kota Kinabalu and Kuching like the previous years. Besides award-winning pictures and popular anime feature films like Initial D the Movie – Legend 2: Racer and Mobile Suit Gundam: The Origin I: Blue-Eyed Casval, JFF 2015’s list of 13 titles also includes Kakekomi, a samurai drama about feudal era divorce that’s a massive hit in Japan and is still currently selling out tickets after nearly four months of release. 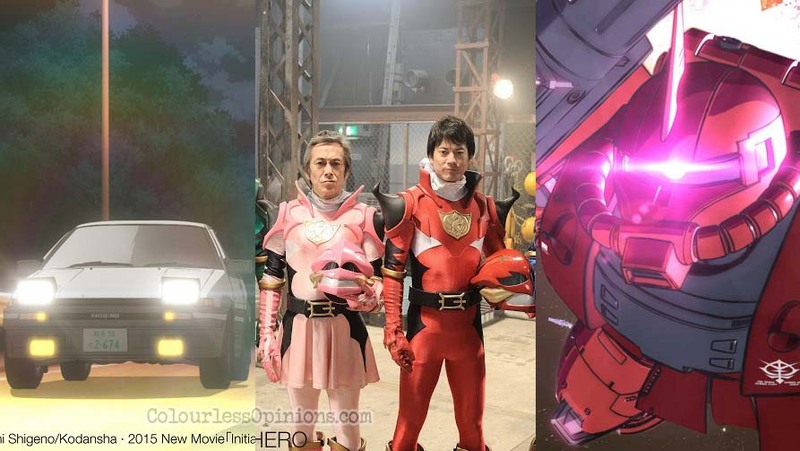 In case you’re wondering what movie is the one with the sentai rangers parody in the image, it’s called Unsung Hero (originally known as In the Hero), a 2014 comedy drama about a veteran suit actor who longs to appear in a film without a mask. Check out the rest of the titles from JFF 2015’s official website. * All films are presented in Japanese with English subtitles. RM7.50 (incl. 6% GST) except for Initial D the Movie Legend 2: Racer and The Adventures of Tyrano Boy which will be sold at prevailing ticket pricing. Tickets can be purchased two (2) days in advance via GSC e-Payment at www.gsc.com.my, GSC Mobile App (iOS, Android and Windows Phone) or at participating GSC outlets.